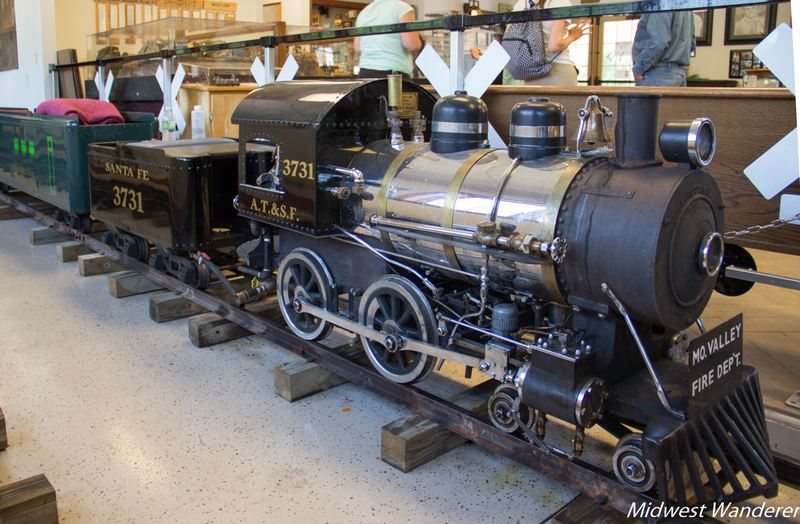 The Watson Steam Train in Missouri Valley, Iowa, is one of only a few remaining 1948 Ottaway steam-powered miniature trains left in the United States. 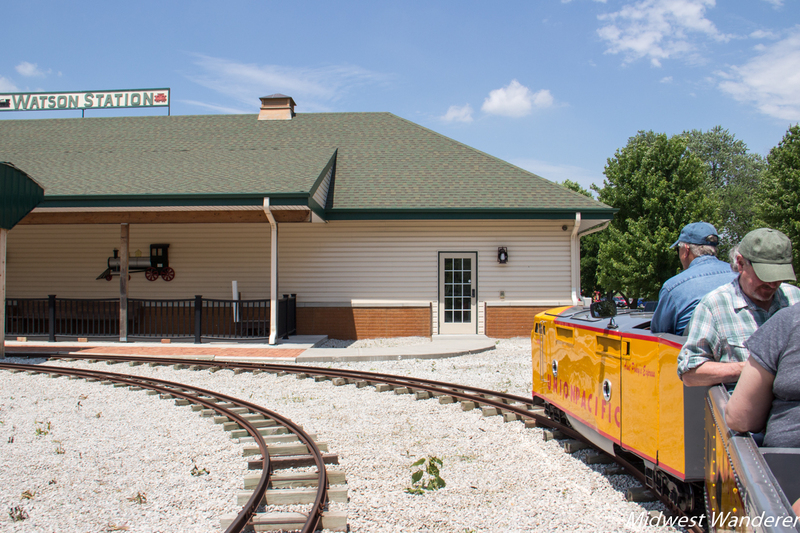 While the 12-gauge coal-fueled steam train is fired up only for special occasions, another train—a diesel-fueled Union Pacific replica—takes kids of all ages on rides around the 1,700 foot track. The 1948 Ottaway steam locomotive is still powered with coal. Thank you to Travel Iowa for hosting my visit to the Council Bluffs area. I visited the Watson Steam Train and Depot as part of a group press trip. As soon as I walked in, I realized I had been there before. Skip and I had stopped in about four years earlier as we were exploring part of the historic Lincoln Highway. The depot wasn’t officially open that day, and the trains weren’t running, but we didn’t know that, and the door was unlocked. The gentlemen who were there were kind enough to give us a tour. Some of those gentlemen may have been among those who chatted with our press trip group about the railroad. On this visit, I learned even more about the all-volunteer organization that operates the railroad—and we all enjoyed a train ride afterward. The Watson Steam Train began as a project of the Missouri Valley Fire Department. They purchased the engine, tender, and three passenger cars in 1950, but after about five years decided to sell it. John Watson, who was on the fire department, didn’t want the train to leave town, so he purchased it from the fire department. He ran it in the local park until the 1980s. When John Watson passed away in 2001, his wife Sharlotte donated the miniature railroad to the parks board. 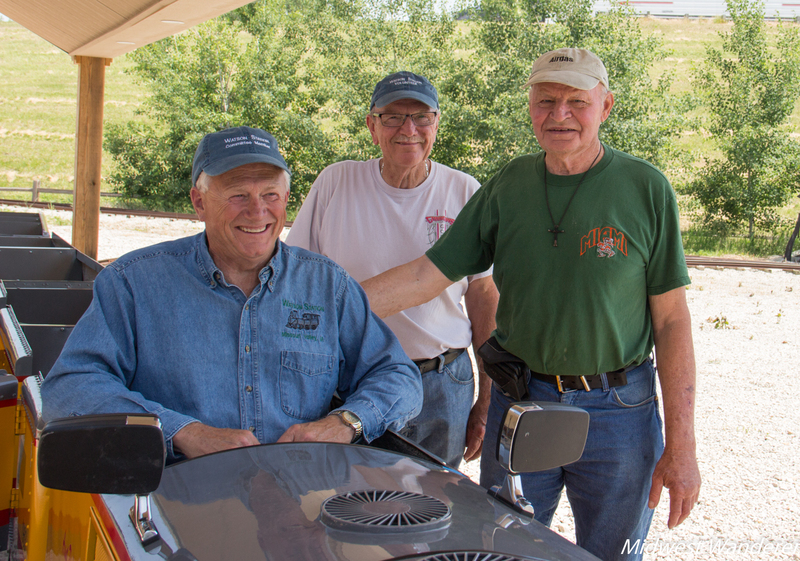 The Watson Steam Train Committee was formed and began fundraising efforts to restore the train and build the depot. Randy Watson, John’s son, headed up the train restoration project. In 2013 a donor gifted a diesel locomotive to the organization. Volunteers spent three months doing the finish work on it. That train is now used for everyday rides. 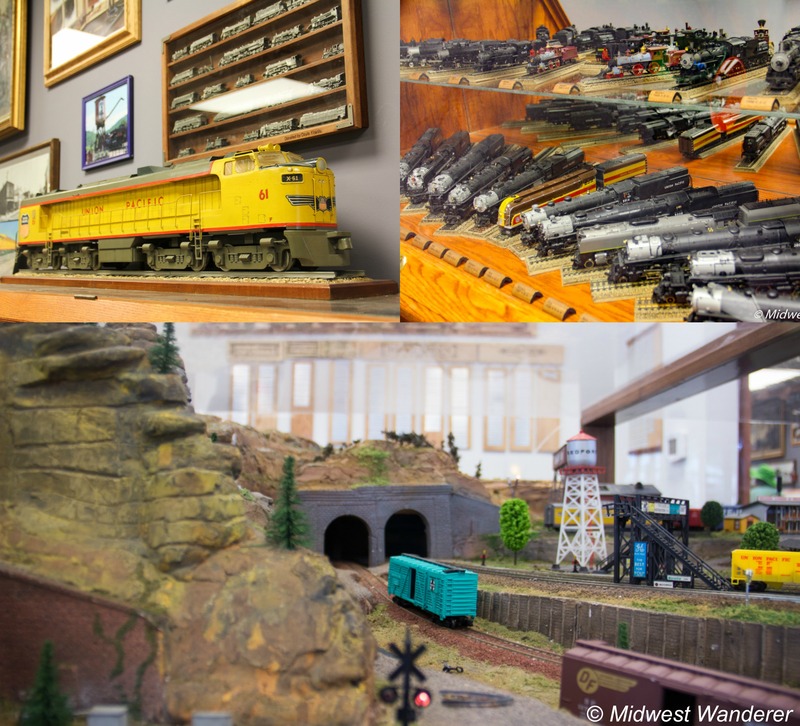 The Union Pacific miniature railroad is what riders usually experience at the Watson Steam Train & Depot. Rides are available on weekends May through October. Tickets are only two dollars, and the ride makes the 1,700-foot loop twice, including a ride through a tunnel. They also offer specials for birthday parties and other private events. Inside the depot, you can see the steam locomotive. Since it takes an hour and a half to get the locomotive up to pressure and just as long to shut down, the engine is used only for special occasions. During our visit, it was under repair for mechanical issues. Also inside, see a nice model train layout, plus model railroad cars, including brass replicas of Union Pacific engines. 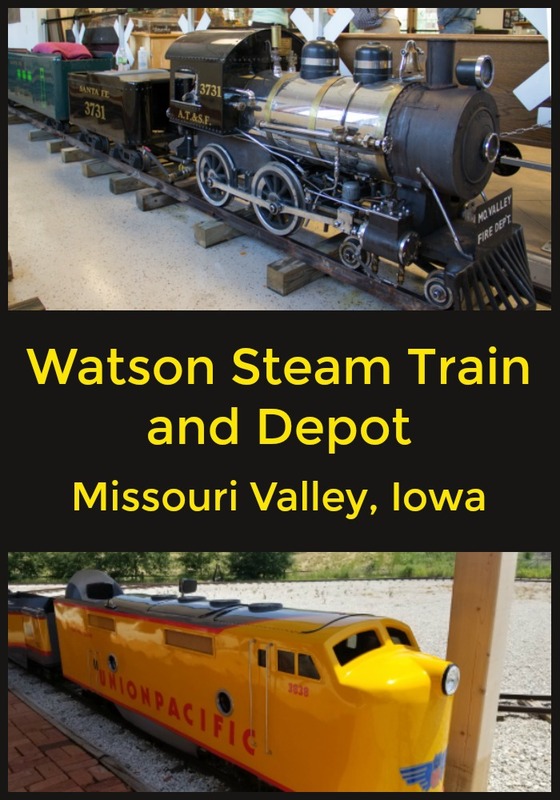 The Watson Steam Train and Depot is located in the Missouri Valley City Park at 800 W Huron Street, Missouri Valley, Iowa. Missouri Valley is about 20 miles north of Council Bluffs. Watson Steam Train hours are noon to 5 p.m. Saturdays, Sundays, and holidays, May through October. Visit the website or the Facebook page for further details. How neat! Another place in Iowa I need to visit – my kids would love it! Looks like this is a must experience for anyone with an interest in trains. Kids of all ages would enjoy this. I have stayed at the hotel you stayed at and it’s super convenient when playing in the Council Bluffs/Omaha area. Skip is a train buff, and he loved it. He was envious when I told him we got to ride the train, since it wasn’t open for rides when the two of us visited.